Natural rattan belongs to the design classics and it is making a comeback in design circles. Unfortunately, conventional forestry practices may damage tropical forests when the rattan is harvested. To avoid this forest destruction, WWF has set up a European Union funded programme for sustainable production and processing of rattan in the Mekong region. An innovative collection for rattan home accessories is being showcased this week at the international design fair Ambiente in Frankfurt/Main. Frankfurt, Germany: Natural rattan belongs to the design classics and it is making a comeback in design circles. Unfortunately, conventional forestry practices may damage tropical forests when the rattan is harvested. To avoid this forest destruction, WWF has set up a European Union funded programme for sustainable production and processing of rattan in the Mekong region. An innovative collection for rattan home accessories is being showcased this week at the international design fair Ambiente in Frankfurt/Main. WWF is working with Swedish designers, graduates from Lund University, in cooperation with local companies, to develop rattan products that are suitable for the international market. These products range from doormats made of rattan waste to foldable baskets, and a unique rattan lounge chair. 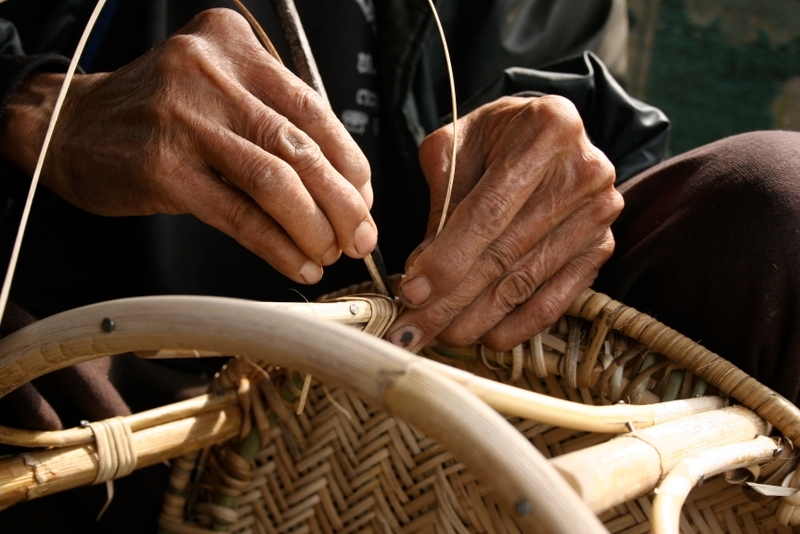 In addition, the WWF has analysed the worldwide trade flows of rattan. The key points of a scientific study launched today include: between 2006 and 2008, global trade declined by 26% due to dwindling rattan resources and forest loss. Indonesia is the most important exporting country in the world, with a market share of 80%. The major buyers are the EU and China. Vietnam plays an essential role for the EU market, exporting mainly to Germany and France. Vietnam is also a major importing country – the suppliers are Laos, India, Cambodia, and the Philippines. Rattan species are members of the palm family and grow climbing and winding themselves around other vegetation and some varieties can grow to lengths of more than one hundred metres. “Forests with such a wide variety of flora and fauna, which have disappeared in other regions of the world, still exist in the Mekong region”, said Thibault Ledecq, WWF Sustainable Rattan Project Manager. “More than 1,000 new animal and plant species have been discovered in the Mekong region in the last ten years alone”. But many of these rattan resources are being overexploited, leading to a decline of many rattan species, prompting WWF to create the Sustainable Rattan Programme in Cambodia, Laos, and Vietnam five years ago. The objectives of the programme are to manage the tropical forests containing rattan in accordance with the Principles and Criteria of the FSC (Forest Stewardship Council), and to promote and implement the United Nations’ principles of “Cleaner Production”. These include the optimisation of material and energy flows, minimising waste and water contamination, and reducing emissions. “Sustainable rattan only has a chance if there is a market for it and if the forests where the rattan grows are still standing”, explained Ledecq. He is convinced: “With credible forest management, responsible trade, and consumer awareness we can ensure that this fascinating natural raw material has a future”. The WWF Sustainable Rattan Programme receives 80% of the programme’s total budget of € 2.4 million from the EU SWITCH-Asia Programme of the EuropeAid Development and Cooperation. SWITCH-Asia aims at scaling-up environmentally friendly production and consumption practices. The Sustainable Rattan Programme is successfully serving this purpose by reaching-out to all actors along the rattan value chain and encouraging certification. IKEA co-finances the WWF Sustainable Rattan Programme.